Ocelco Detachable Wheelchair Arms are available as full size of desk style. 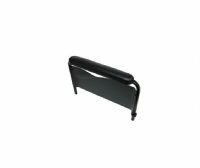 Both styles have the appropriate length armrests available in multiple colors. Our E&J standard and adjustable height detachable arms are a durable steel design. 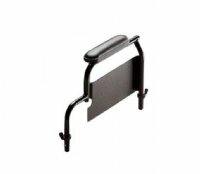 Invacare Conventional Arms have durable steel tubing with plastic side skirts and plastic casings for the armrests. Invacare gives you the option of black or chrome tubing on each assembly. If you have any questions please contact our Customer Service at 800-328-5343 and one of our representatives will be happy to assist you.